The SEC and FINRA recently issued an Alert about exchange-traded funds because it believes individual investors may be confused about the performance objectives of leveraged and inverse exchange-traded funds (ETFs). Leveraged and inverse exchange-traded funds typically are designed to achieve their stated performance objectives on a daily basis. Some investors might invest in these ETFs with the expectation that the ETFs may meet their stated daily performance objectives over the long term as well. Investors should be aware that performance of these ETFs over a period longer than one day can differ significantly from their stated daily performance objectives. Leveraged ETFs seek to deliver multiples of the performance of the index or benchmark they track. Inverse ETFs (also called “short” funds) seek to deliver the opposite of the performance of the index or benchmark they track. Like traditional ETFs, some leveraged and inverse ETFs track broad indices, some are sector-specific, and others are linked to commodities, currencies, or some other benchmark. Inverse ETFs often are marketed as a way for investors to profit from, or at least hedge their exposure to, downward moving markets. Leveraged inverse ETFs (also known as “ultra short” funds) seek to achieve a return that is a multiple of the inverse performance of the underlying index. An inverse ETF that tracks a particular index, for example, seeks to deliver the inverse of the performance of that index, while a 2x (two times) leveraged inverse ETF seeks to deliver double the opposite of that index’s performance. To accomplish their objectives, leveraged and inverse ETFs pursue a range of investment strategies through the use of swaps, futures contracts, and other derivative instruments. Most leveraged and inverse ETFs “reset” daily, meaning that they are designed to achieve their stated objectives on a daily basis. Their performance over longer periods of time—over weeks or months or years—can differ significantly from the performance (or inverse of the performance) of their underlying index or benchmark during the same period of time. This effect can be magnified in volatile markets. As the examples below demonstrate, an ETF that is set up to deliver twice the performance of a benchmark from the close of trading on Day 1 to the close of trading on Day 2 will not necessarily achieve that goal over weeks, months, or years. • Between December 1, 2008, and April 30, 2009, a particular index gained 2 percent. However, a leveraged ETF seeking to deliver twice that index’s daily return fell by 6 percent—and an inverse ETF seeking to deliver twice the inverse of the index’s daily return fell by 26 percent. • During that same period, an ETF seeking to deliver three times the daily return of a different index fell 53 percent, while the underlying index actually gained around 8 percent. An ETF seeking to deliver three times the inverse of the index’s daily return declined by 90 percent over the same period. How can this apparent breakdown between longer term index returns and ETF returns happen? Here’s a hypothetical example: let’s say that on Day 1, an index starts with a value of 100 and a leveraged ETF that seeks to double the return of the index starts at $100. If the index drops by 10 points on Day 1, it has a 10 percent loss and a resulting value of 90. Assuming it achieved its stated objective, the leveraged ETF would therefore drop 20 percent on that day and have an ending value of $80. On Day 2, if the index rises 10 percent, the index value increases to 99. For the ETF, its value for Day 2 would rise by 20 percent, which means the ETF would have a value of $96. On both days, the leveraged ETF did exactly what it was supposed to do—it produced daily returns that were two times the daily index returns. But let’s look at the results over the 2 day period: the index lost 1 percent (it fell from 100 to 99) while the 2x leveraged ETF lost 4 percent (it fell from $100 to $96). That means that over the two day period, the ETF’s negative returns were 4 times as much as the two-day return of the index instead of 2 times the return. The best form of investor protection is to clearly understand leveraged or inverse ETFs before investing in them. 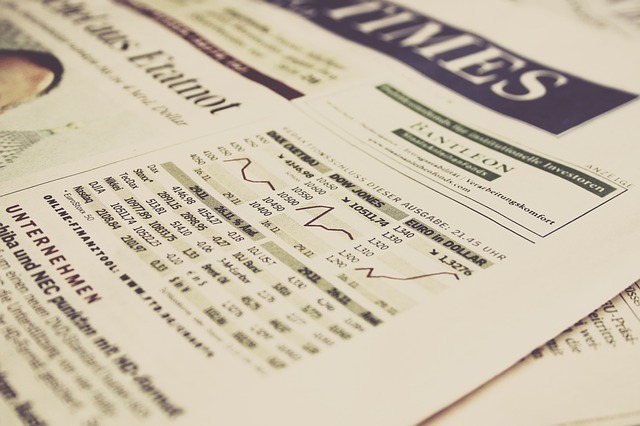 No matter how you initially hear about them, it’s important to read the prospectus, which provides detailed information related to the ETFs’ investment objectives, principal investment strategies, risks, and costs. The SEC’s EDGAR system, as well as search engines, can help you locate a specific ETF prospectus. You can also find the prospectuses on the websites of the financial firms that issue a given ETF, as well as through your broker. • How does the ETF achieve its stated objectives? And what are the risks? Ask about—and be sure you understand—the techniques the ETF uses to achieve its goals. For example, engaging in short sales and using swaps, futures contracts, and other derivatives can expose the ETF—and by extension ETF investors—to a host of risks. • What happens if I hold longer than one trading day? While there may be trading and hedging strategies that justify holding these investments longer than a day, buy-and-hold investors with an intermediate or long-term time horizon should carefully consider whether these ETFs are appropriate for their portfolio. As discussed above, because leveraged and inverse ETFs reset each day, their performance can quickly diverge from the performance of the underlying index or benchmark. In other words, it is possible that you could suffer significant losses even if the long-term performance of the index showed a gain. • Is there a risk that an ETF will not meet its stated daily objective? There is always a risk that not every leveraged or inverse ETF will meet its stated objective on any given trading day. Be sure you understand the impact an investment in the ETF could have on the performance of your portfolio, taking into consideration your goals and your tolerance for risk. • What are the costs? Leveraged or inverse ETFs may be more costly than traditional ETFs. Use FINRA’s Fund Analyzer to estimate the impact of fees and expenses on your investment. The SEC’s Mutual Fund Cost Calculator can also help you estimate and compare costs of owning mutual funds. • What are the tax consequences? Leveraged or inverse ETFs may be less tax-efficient than traditional ETFs, in part because daily resets can cause the ETF to realize significant short-term capital gains that may not be offset by a loss. Be sure to check with your tax advisor about the consequences of investing in a leveraged or inverse ETF. If you have questions about an investment you made in an exchange-traded fund, or if you believe that you have been the victim of a securities fraud, The White Law Group may be able to help. To speak to a securities attorney, please call our offices at 888-637-5510 for a free consultation.